We must use shoes or sandals if we want to enter this island. After taking some photos, we group continued our trip to Sebuku sea area. We did snorkeling for almost or more than one hour. There a lot of fish type and also there are some sea urchin, not only little but also big. We must be careful and also take care the coral. 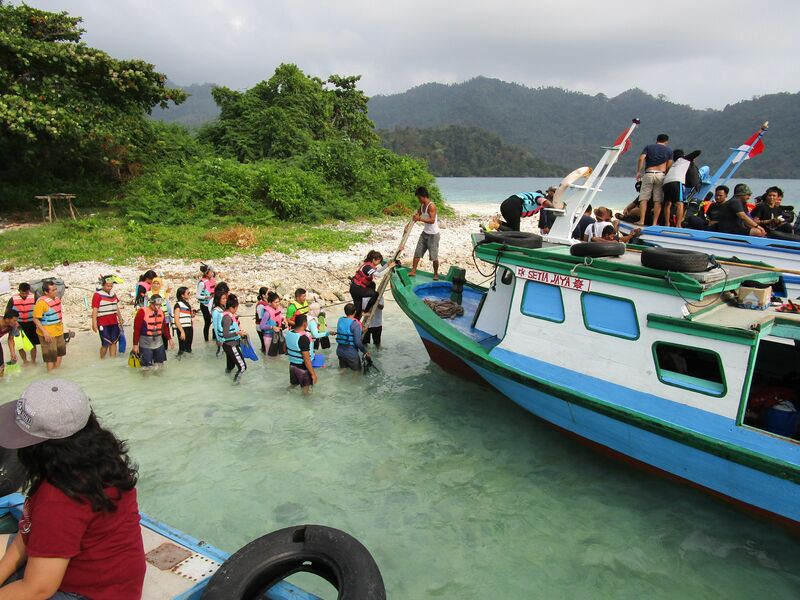 After snorkeling, we visited Sebesi island. We passed the night at that island. We arrived at noon on the island. 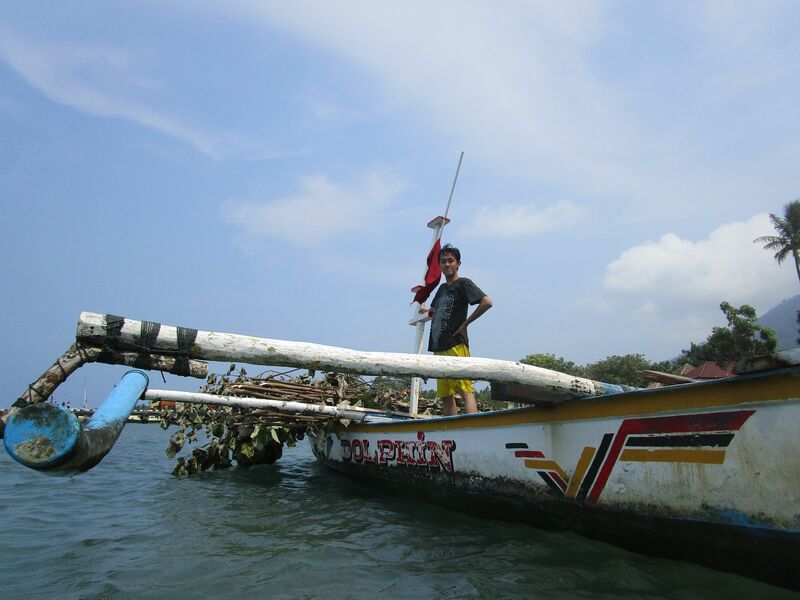 Our tour guides said that we could lunch and took a rest for a few hours at a homestay, after that we went to Umang island in the afternoon. After lunch, we decided to play sea water at Sebesi beach. We did not want to spend much time for take a rest. We wanted to enjoy the sea water. So, we played sea water and sand, swam or just took some cute photos at the beach area. Before we had done the activities, we bought some Bananas fried. 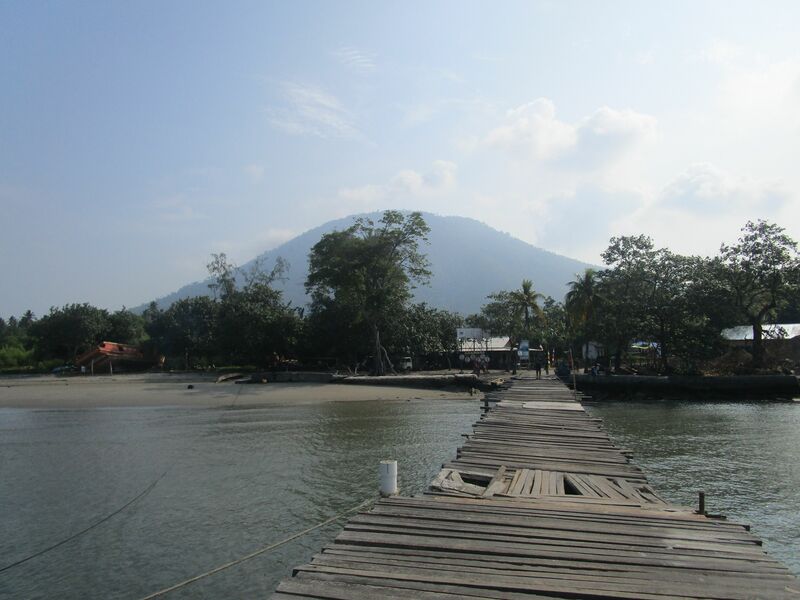 Sebesi island is located at Tejang village, Rajabasa Subdistrict, South Lampung Regency, Lampung Province. 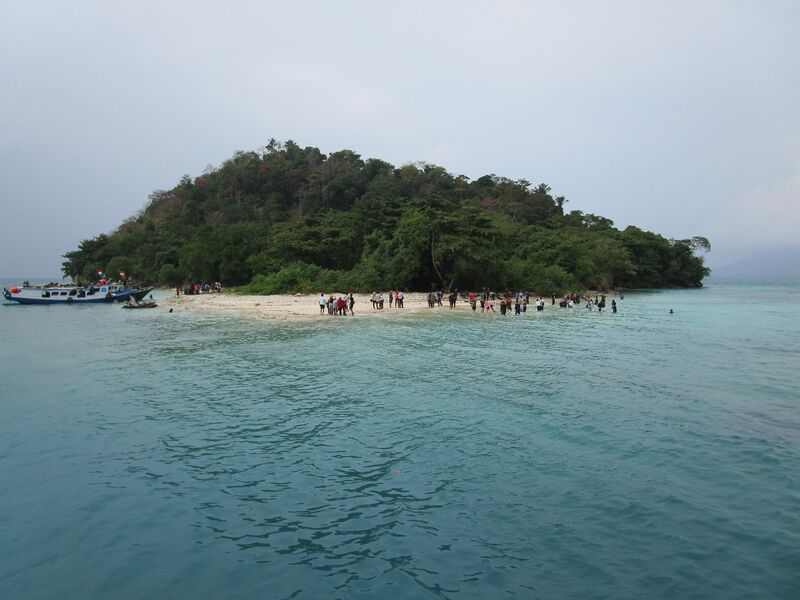 This Island is the land closest to Anak Krakatoa Island. 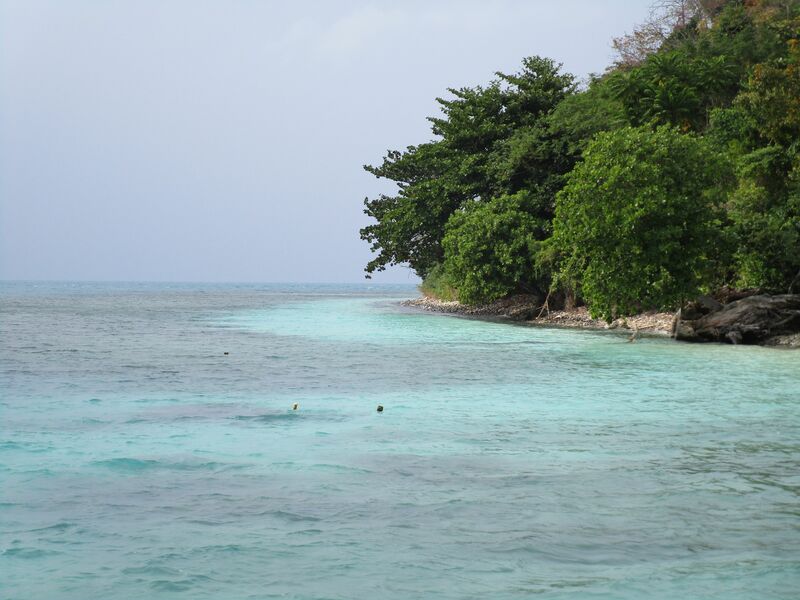 Sebesi island has white sand, crystalline sea water, green trees, coconut trees, and also clean environment. 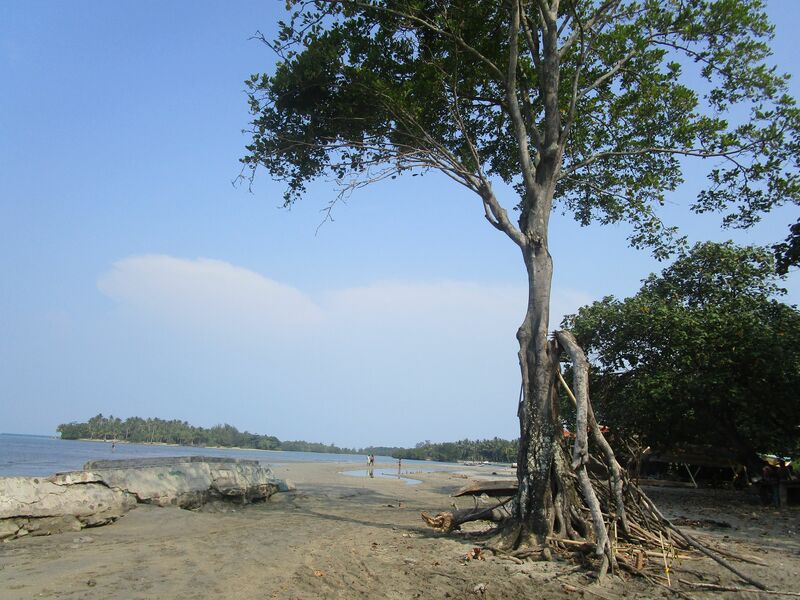 It is different with Big Pahawang Island which a dirty. So, we were not worried about it. My friend’s nephew and niece looked so happy and they did not want back to homestay although almost afternoon. It was funny but It made us laugh. There are some people be residents or lived in this island, there are some public facilities too. Some people have homestays and some lodgings. We can choose both of them. But if we take open-trip we usually get a homestay. If we want to rent lodging, we must pay more. Besides that, there are some public bathrooms and they are clean. If we want to take a bath at the bathroom, we can pay for two thousand until five thousand rupiah. There are also some food stalls. We can buy banana fried, noodles, coconut water, and another food. When we want to enjoy nice moment, we can sit under the coconut trees while enjoying the food and drink. Do not forget to throw your waste in trash can. Always keep our nature. Hope you enjoy the island.